‘Fast and Easy’ are two words every developer’s strategies to build a robust web application. 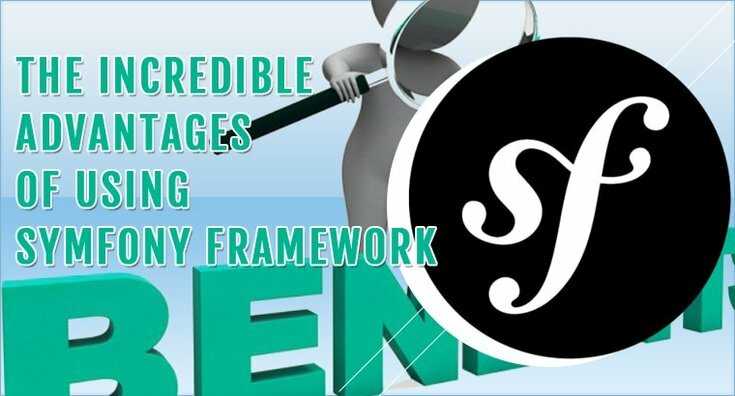 Symfony is a high performance PHP framework which supports Model View Controller applications. It escalates the building and maintenance of web application development. The framework was developed to change the unvaried coding tasks. It boosts the performance of developer by providing absolute control over the configuration and let you build a powerful application in an enterprise context. It is assembled with additional components and tools which provide a perfect scenario to create complex web applications in an easier and a faster way. Doctrine is a PHP Object Relationship Mapper that comes on top of a robust PHP Database Abstraction Layer (DAL). It is easy to write doctrine database query in Object Oriented (OO), which makes coding simpler for developers. ‘Full Stack’ which means that you can easily develop an intricate application with numerous functionalities. Brick-by-brick feature which lets you create your own framework to the functionalities you want. Micro framework- It is standalone and can be easily used to create a particular functionality that you want in your project. It won’t ask you to install the entire framework and won’t require any redevelopment. The only requirement will be of a specific brick according to your need. A bundle is a directory that has well defined structure and can host anything from classes to controllers and web resources. It has its own logic in Controller’s Models and Views. It can also wrap like a library of codes. For example – you want to create a login registration, you can create it in two ways. First, you write the entire code of forms, which will be quite lengthy. The second way is to just install a FOS. This will completely delete your pain of writing a full length code. Naturally, you would go with the second one as it is very simple and quick. Twig is a modern template engine that helps to build the application in a fast, secure and flexible manner. It supports everything you need to build powerful templates with ease: multiple inheritance, blocks automatic output escaping and much more. Twig is flexible enough for all your needs and even the most complex one. You can easily implement your own language and construct functions like tag filter functions and even operatives. It is fully unit tested and has a stable library. This boost the power of developers to build a great web application. All the versions of symphony are supported by Sensiolabs when it comes to security related issues. For additional stability, the minor version of Symfony2’s contract and interface are also guaranteed. Symfony is flexible, as it can be used to build an e-commerce website. The e-commerce components which symfony contains are sylius, elcodi and thelia. These components are 100 % free, using the business friendly MIT license. It is developed using BDD (Behavior Driven Development). This helps to manage both business interests and technical insights. This gives clean architecture and great flexibility. Along with these benefits, Symfony brings a whole host of advantages for the developers that simplify the development process. If you are looking for a good development team feel free to get in touch.